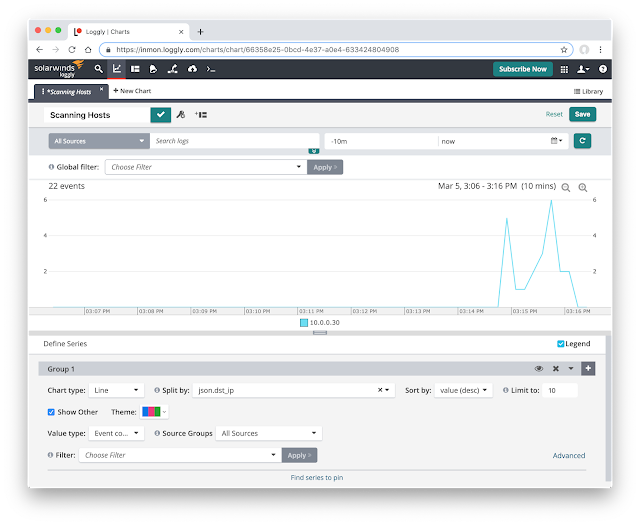 Loggly is a cloud logging and and analysis platform. 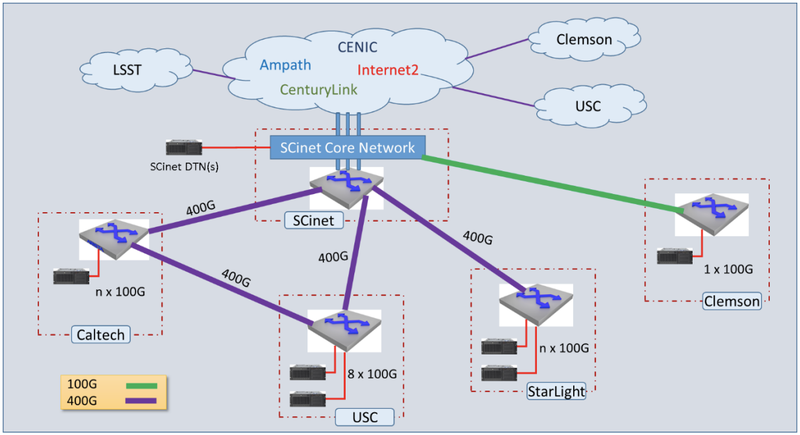 This article will demonstrate how to integrate network events generated from industry standard sFlow instrumentation build into network switches. 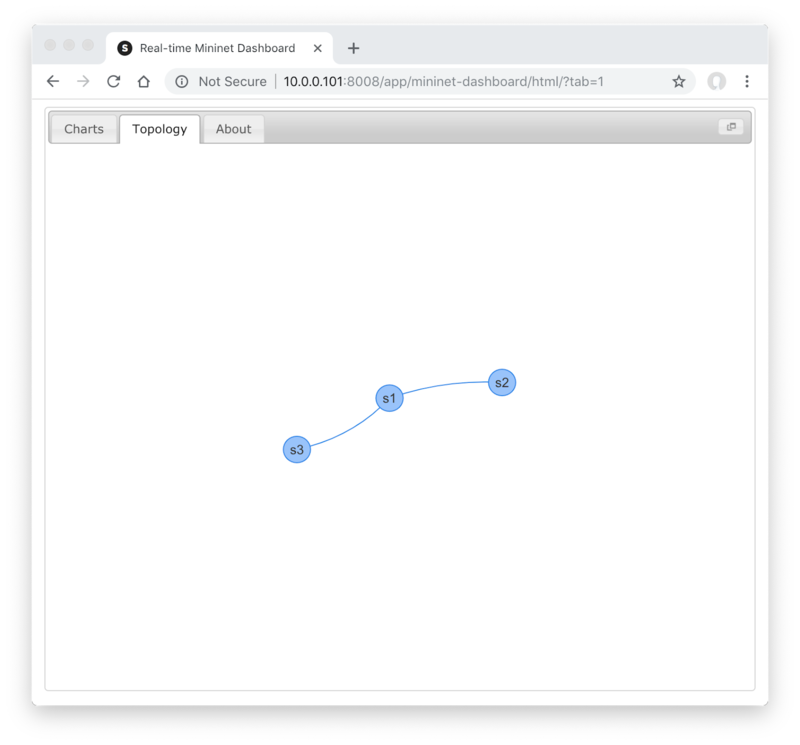 Loggly offers a free 14 day evaluation, so you can try this example at no cost. 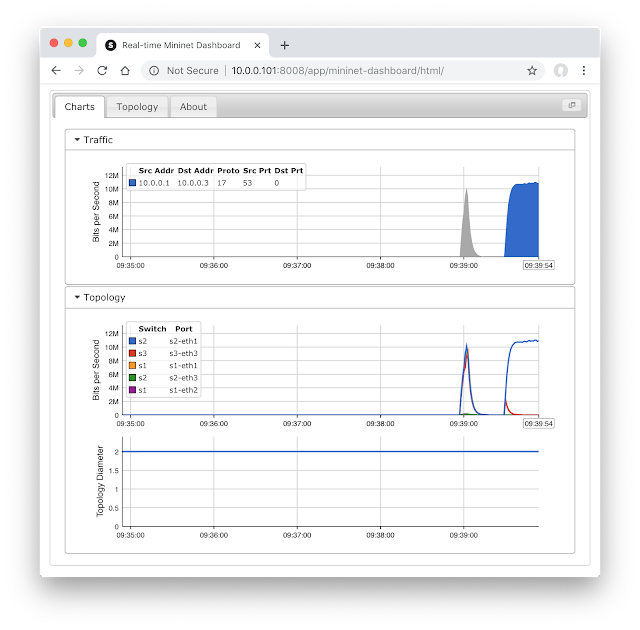 ICMP unreachable describes how monitoring ICMP destination unreachable messages can help identify misconfigured hosts and scanning behavior. The article uses the sFlow-RT real-time analytics software to process the raw sFlow and report on unreachable messages. Modify the script to use the correct token for your Loggly account. Events should now start appearing in Loggly. The Loggly Live Tail page can be used to verify that the logs are being received. The screen capture at the start of this article shows a chart trending events by the host that triggered them, identifying 10.0.0.30 as the source of the network scan. The loggly.js script can easily be modified to track and log different types of network activity. For example, Blacklists describes how to download a set of blacklisted addresses, match traffic against the blacklist and generate events for the matches. Intranet DDoS attacks describes the threats posed by IoT (Internet of Things) devices and the need for visibility throughout the network in order to tackle these threats. 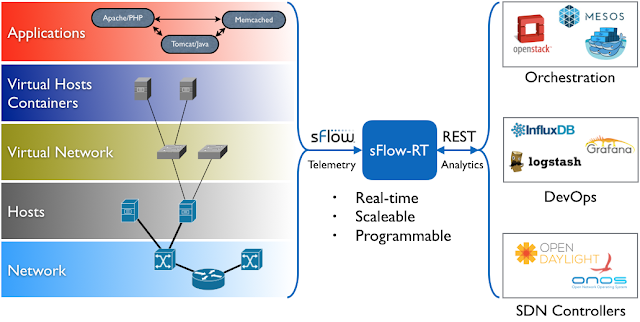 Incorporating sFlow in the monitoring strategy extends visibility beyond the firewalls to the entire network. In addition to generating events, sFlow analytics can be used to deliver performance metrics. 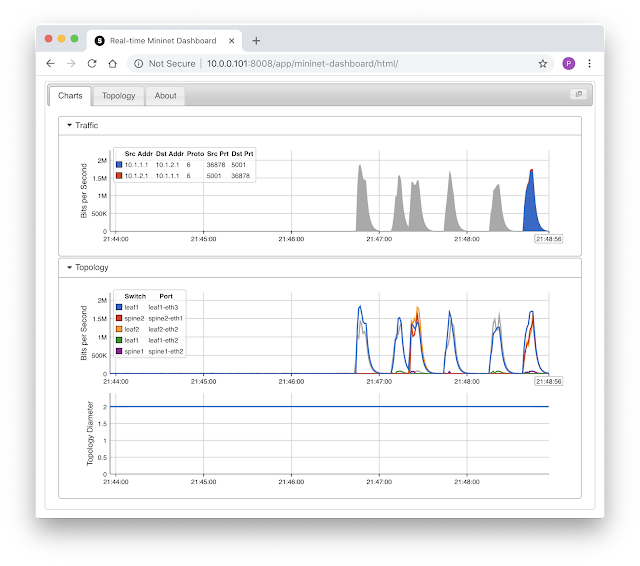 The article, Cloud analytics, describes how to use sFlow-RT to send performance metrics to the Librato cloud service - also part of Solarwinds. 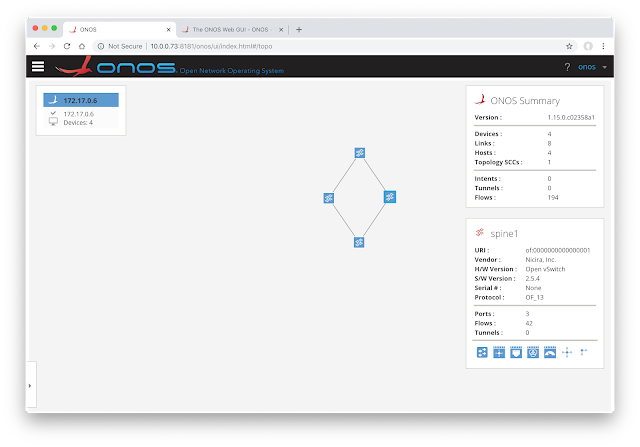 The latest version of sflowtool can convert sFlow datagrams into JSON, making it easy to write scripts to process the standard sFlow telemetry streaming from devices in the network. The output shows the JSON representation of a single sFlow datagram containing one counter sample and one flow sample. 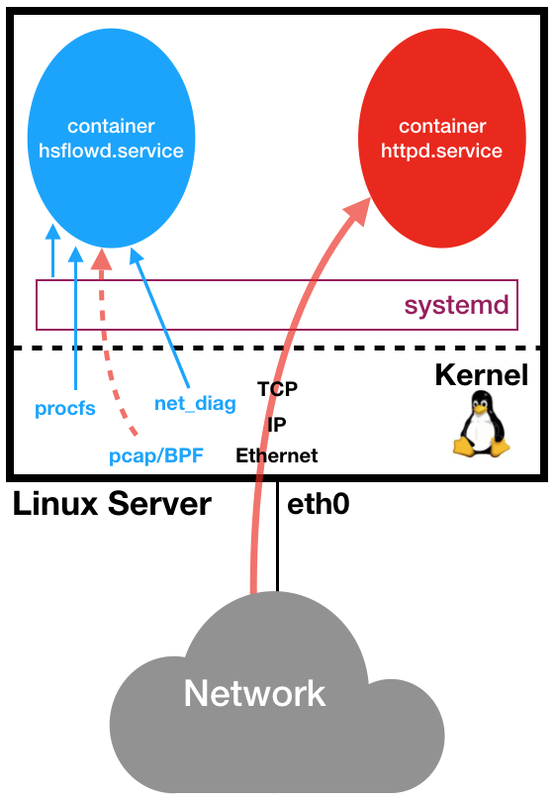 The open source Host sFlow agent provides a convenient means of experimenting with sFlow if you don't have access to network devices. 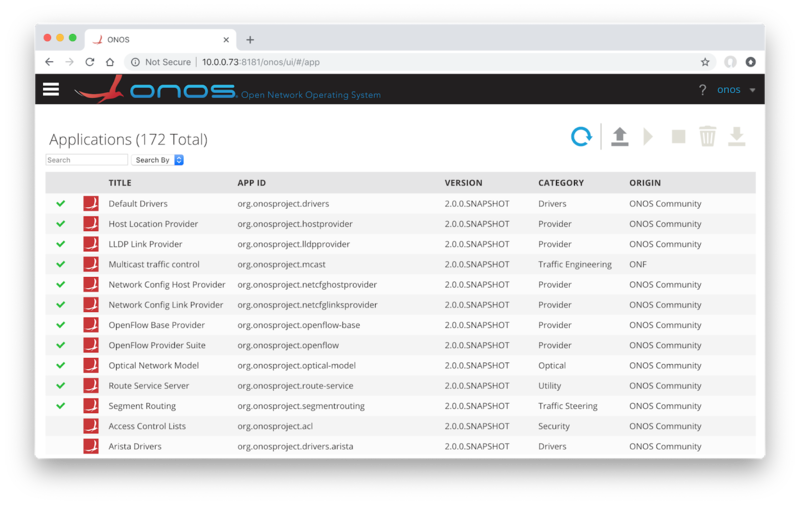 The Host sFlow agent is also a simple way to gather real-time telemetry from public cloud virtual machine instances where access to the physical network infrastructure is not permitted. Finally, for advanced sFlow analytics, try sFlow-RT, a real-time analytics engine that exposes a REST API.